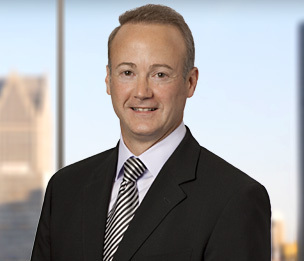 Todd Grant Gattoni is a product liability and commercial litigation attorney whose clients include many pharmaceutical, medical device and health care companies. Based in the Detroit Office, he defends clients around the nation in high-profile complex civil litigation and class actions. He also represents many well-known consumer products, retail and automotive companies. Mr. Gattoni represents the country's largest maker of over-the-counter medication in product liability matters. He also provides risk management counseling, including advice on product labeling and warnings. His counsel during a highly publicized voluntary recall of a pain reliever helped prevent widespread national litigation. He also helped the company develop and implement a claims handling system. General Motors and Ford Motor Company rely on Mr. Gattoni for coordination of chemical exposure/toxic tort litigation. He represents GM and Ford in all asbestos lawsuits filed in Michigan. He is GM's regional counsel in national marine engine asbestos litigation and its national counsel for aviation asbestos litigation. He also defended a leading welding rod manufacturer in mass tort litigation in Michigan involving welding fumes and chemical exposure. Various industry leading companies, including Trek Bicycle, Sony, Microsoft, Kmart, Sears, Sanmina-Sci Corporation, and Securitas, have relied upon Mr. Gattoni to defend them in product liability and commercial litigation matters. He recently advised Kmart and Sears with regard to a nationwide class action suit involving consumer products manufactured in China. Kmart received indemnity in the matter, thus substantially reducing its exposure. Prior to joining Dykema, Mr. Gattoni was the interim deputy general counsel for American Protective Services and served on the bench as Judge Pro Tem, deciding cases in the Superior Court of California. "Litigation Management: Triage Saves The Day"
"The End of 'Constitutional Blackmail' "